The design of every Legion war machine stems from the depraved mind of Kin´garoth. Obsessed with crafting implements of death. Kin´garoth infused his very body into the production machinery so he could more efficiently churn out a never-ending supply of destruction. At the behest of the Legion´s dark master, Kin´garoth fevered brilliance has developed a new super-weapon which he plans to unleash upon the Army of the Light. In this fight the encounter platform is circular and really big with boss in the middle and 3 small entries to an add in each one of them that are being charged. In phase 1 you attack boss and have to dodge fire beams that boss shoots and the mines on the ground that develops after boss hits a melee player. 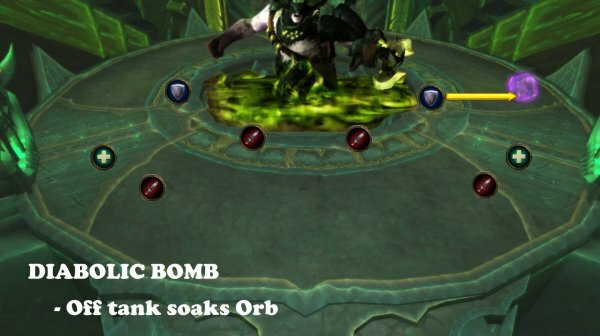 Tanks need to soak orbs that travels around the platform from time to time. When boss gains 100 energy, phase 2 starts. 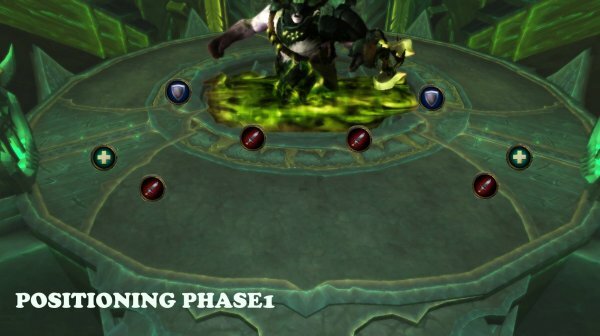 In phase 2, you will start attacking 3 Fel Reaver adds that are being activated for 30 sec. After 30 seconds, the adds will attack you and have 1 ability each. At the same time, boss will attack you as well. Boss does same thing as phase 1 and adds have abilities in which you must soak on random locations, you must share dmg on targeted players and you must run away with a debuff that does raid dmg. One tank on left side of boss. One tank on right side of boss. Group 2 on right corner, spread out. Left tank on left corner Fel Reaver. Right tank on right corner Fel Reaver. This does deadly physical damage to everyone in a 5 yard radius. The smash also puts a debuff that increase damage taken by 500% for 30 sec. Use defensive cooldown when Forging Strike, otherwise it will one shot kill you. 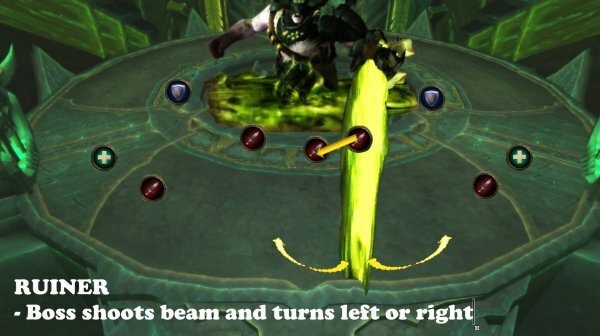 Boss summons a Fel Orb that travels in a circle around the platform. When the Orb touches a player it does high shadow damage to all players within 200 yard radius. The further players are from the orb, the less damage they take. The one NOT tanking boss gets hit by the orb. Make sure that you time so you get hit by the orb when it travels behind you. Make sure that you dodge the orb when it passes through. Sometimes the orb can spawn on the raid/player, make sure to heal up the players fast. The smash does moderate physical damage to anyone within 5 yards. The smash also leaves a permanent detonation charge on the ground. Melee, make sure you are spread from each other. Make sure that you are not standing close to a detonation charge or it will do loads of dmg on you next time boss does Reverberating Strike. If there are no more space for melee to stand: Tanks can move more to the side so melee can have some more space. Do NOT stand close to tanks. Boss faces a random location and charges a beam for 3 seconds. He then shoots it for 5 seconds to the left or the right side. Getting hit by the beam does high fire damage every 0.5 seconds you are being hit. Run away fast from the location the boss is facing. When boss reaches 100 energy, phase 2 starts. 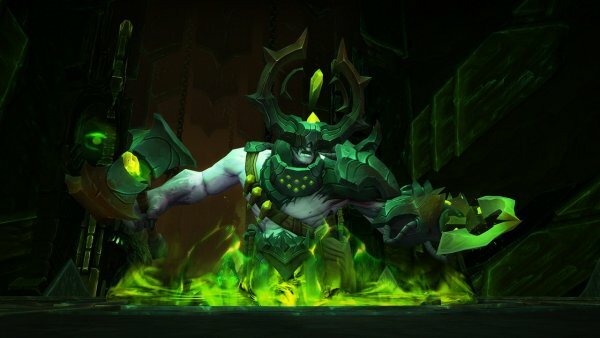 Boss will be immune to damage and opens up the doors where the Fel Reavers are. There are 3 Fel Reavers – one on each bottom corner and one in the middle top side. 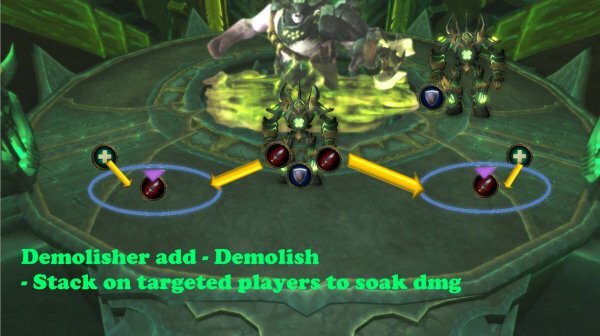 Each Fel Reaver has its own ability. You will be able to nuke Fel Reavers for 30 seconds before they can move and have to be tanked. The door will be closed once the Fel Reavers are activated so beware and move out before the doors close, otherwise you will be stuck inside. 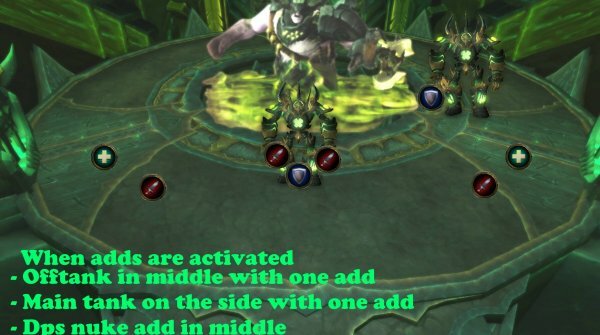 When Fel Reavers can move and attack players, the boss will also be attackable and attack you as well. 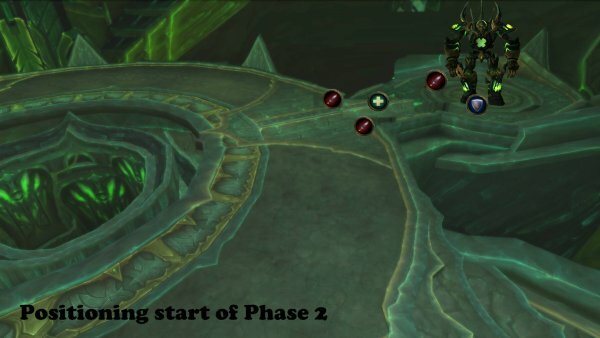 There will be an Initializing phase for 30 sec in which the boss is charging up the Fel Reavers. 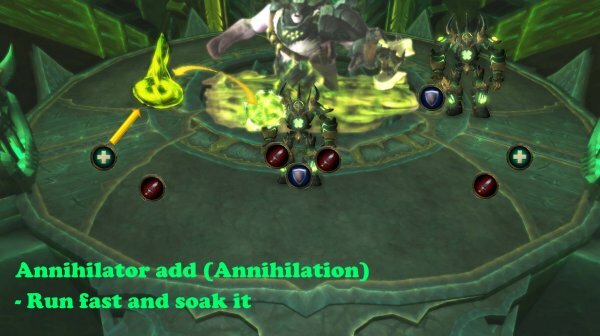 During this time, the Fel Reavers and boss will not be able to attack. During this time, Fire balls will hit random player locations that does moderate fire damage (Apocalypse blast). Group 2 goes to the right corner Fel Reaver. Nuke down the Fel Reavers as much as possible. Stay spread all the time and dodge the fire balls (a circle on the ground shows the impact location. Use your healing cooldowns here. Taunt the third Fel Reaver that comes from top side. Tank Both Fel Reavers in the middle (moon). 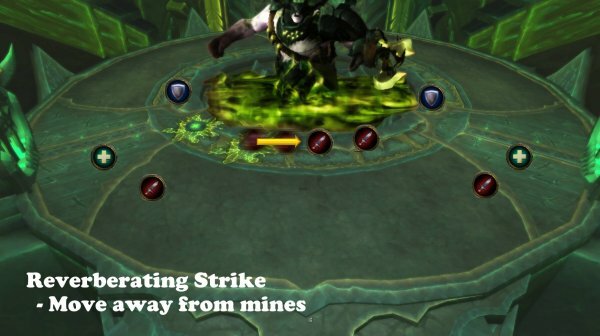 Run to your side of boss with your Fel Reaver and tank boss and Reaver. The tank that boss attacks must always be on the side off the platform. The tank that boss doesn’t attack must stand in the middle (moon). This way, dps can focus the attack on the raver on moon without getting hit by boss. Go back to your positions you had in phase 1. This add shoot a fire missile on a random location on the platform. If the impact of a fire missile is not absorbed, all players will take high fire damage. If a player soaks the fire missile impact, that player will take high fire damage alone. Everyone should help to Soak the missiles. Use a defensive spell before impact. Puts a debuff on a random player. After some seconds that debuff expires and does high fire damage to everyone within 100 yards and smaller amount of fire dmg to everyone. Targeted player should run to the top side of the platform where no players should be and let the debuff expire when you are there. Players with immune spells should use it when getting this debuff. Targets random players and after some seconds, those players are blasted with shadow dmg. The shadow dmg is deadly but split among other players within 10 yards of targeted player. Players hit gets a 3 second debuff that increases shadow dmg taken by 100%. 1-2 other players must stack up on the targeted players to share the dmg. If no one is stacking up on you when you are targeted, run to the melee players. Pop it when Fel Reavers are getting activated (initializing phase).